Home Page › Costume Designs › Mardi Gras Costume 2014 Designed For Miss Fanny Floss! Mardi Gras Costume 2014 Designed For Miss Fanny Floss! The Sydney Gay and Lesbian Mardi Gras Parade is one of the world’s largest and best-loved LGBTQI celebrations, a chance for all of the colours of the kaleidoscope to come together, to commemorate, celebrate, and communicate the universal message of diversity, equality, and infinite love. 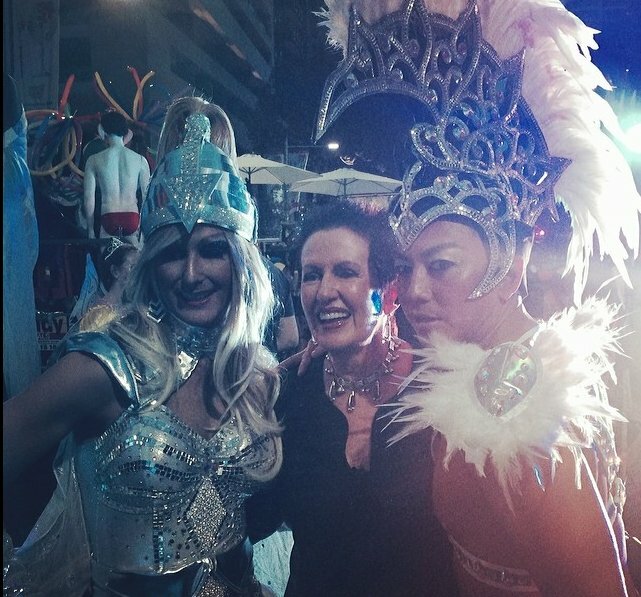 The Mardi Gras parade took place on 1st March 2014. Join hundreds of thousands of spectators lining the route, as 10,000 people parade with pride along Oxford and Flinders Streets in an explosion of creative and political expression, a captivating extravaganza of lavish floats, satirical statements, spectacular costumes and showstopping moments. This year, I was delight to design costumes for the festival. 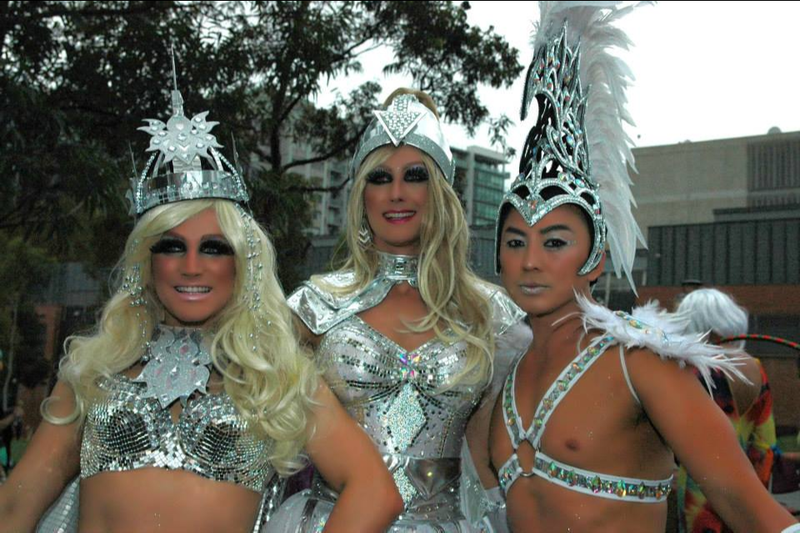 Here is some of the costumes I designed for one the only Miss ‘Fanny Floss’ and the Asian Marching Boys. This year The Asian Marching Boys and Friends’ theme was ‘Our Night In Shining Armour’. They were all in silver warrior costumes, glitters and shinny helmets and sheilds. 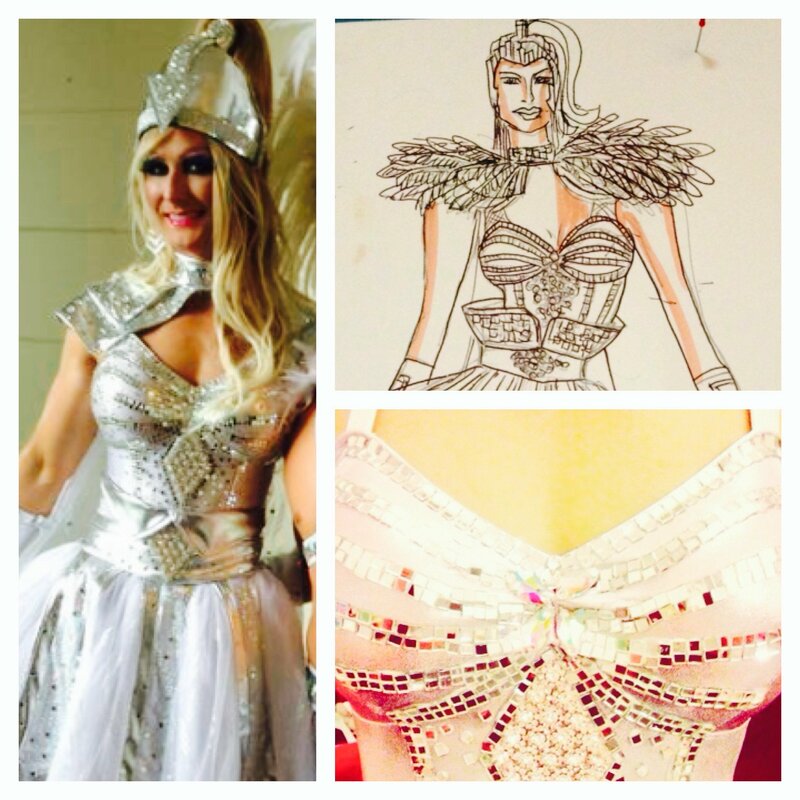 “The Warrior Princess costume” was made to measure just for Miss Fanny Floss and embellished with mosaic mirror tiles and crystal diamantes. Just want to thanks Miss Fanny Floss and The Asian Marching Boys and Friend for the opportunity to design the costume. Miss Fanny Floss you are a fabulous and a super star. 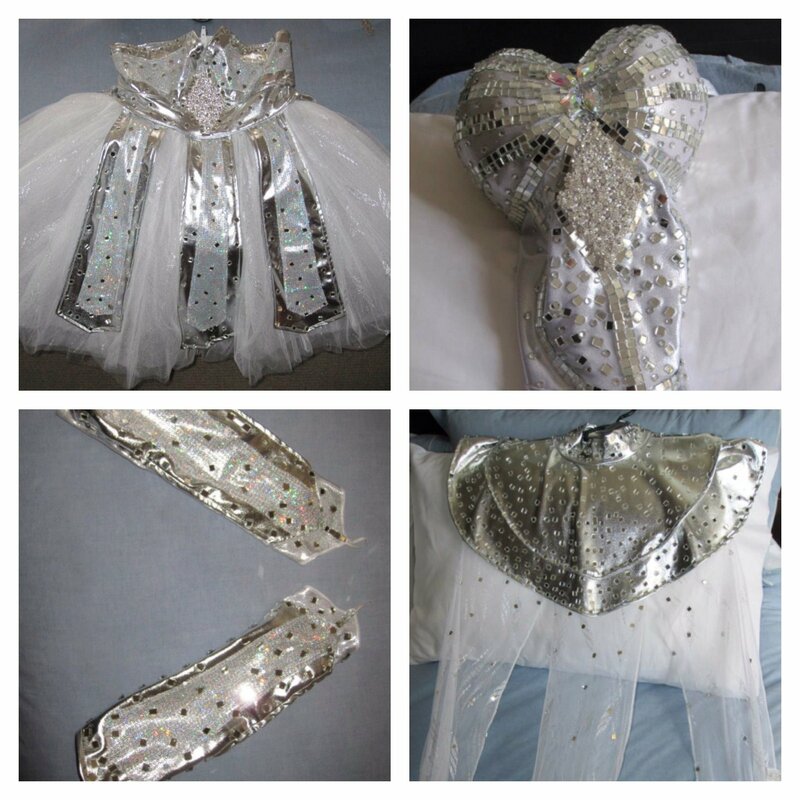 Looking forward to design your Mardi Gras Costume for 2015.